Image: Image: Sugareme. Design: Ashley Britton/SheKnows. The first time I experienced a migraine, I was fairly convinced that an invisible drill had emerged out of nowhere and was slowly penetrating a hole directly through my skull. I told my doctor that the pain was excruciating and debilitating, but he dismissed it as the result of stress and long work hours and sent me on my way without a treatment plan or any suggestions beyond taking an Advil. My experience was unfortunately a common one and is one of many examples of why migraines are a feminist issue. Migraines disproportionately affect women — according to The Migraine Research Foundation, 28 million out of the 39 million Americans who suffer from migraines are women. With these statistics readily available, one would expect doctors to take women seriously when they seek treatment for migraines. But far too often the pain is dismissed by doctors who say it’s simply an unpleasant side effect of our periods or hectic work schedules. It’s part of a troubling pattern that leaves women undiagnosed and untreated. A 2003 study in Academic Emergency Medicine found that doctors are less likely to treat women’s pain, which was consistent with findings published in a 1994 article in The New England Journal of Medicine. Of course, determining whether a woman has a chronic migraine condition or her migraines are a symptom of a chronic illness like fibromyalgia or lupus requires doctors to take our pain seriously — and, unfortunately, that often proves to be a tall order. Ignored and dismissed by doctor after doctor, women are frequently left with no option but to do the unpaid labor of researching potential diagnoses and treatment options. This is something that takes hours of time and effort and is an example of women being tasked with solving a problem that shouldn’t be our responsibility — after all, we pay doctors to (in theory) help us reach a diagnosis and form a plan to ease our pain. But when doctor after doctor dismisses us, our only option is to advocate for ourselves until we find a practitioner who is willing and ready to treat our migraines. “Keeping a headache diary along with a food diary would be very helpful in avoiding being dismissed by your healthcare practitioner,” Raja says. He also recommends having a thorough history and physical examination conducted by both a neurologist and an ENT doctor. Medhat Mikhael, M.D., pain management specialist and medical director of the non-operative program at the Spine Health Center at MemorialCare Orange Coast Medical, has similar advice. “Women who suffer from migraines and have primary care physicians who dismiss it as a part of their stress or their menstrual cycle should seek a pain specialist physician or a neurologist who has a deeper understanding of the diagnosis, treatment, and prevention of migraines,” Mikhael says. Jumping through these hoops is the most effective way to get a diagnosis and find a practitioner who takes you seriously — but it certainly doesn’t change the fact that the dismissal of women’s pain in the medical community is sexist, unacceptable, and needs to change. In the year 2019, it would be swell to put the sexist “hysterical woman” trope to rest once and for all. 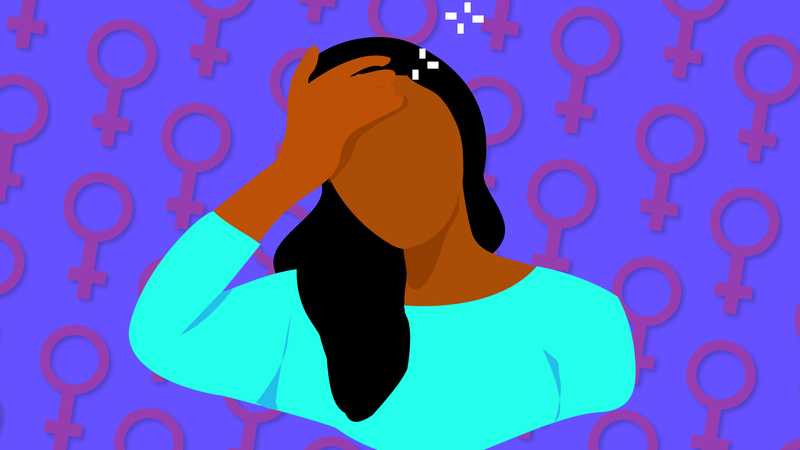 It’s actively harming women who suffer from migraine conditions and other serious chronic illnesses, and there’s absolutely no excuse to leave women undiagnosed and untreated.